Guilford Orthopaedic and Sports Medicine Center sees many patients who are experiencing a variety of lumbar spinal symptoms. Our physical therapists are thoroughly trained in spinal pain assessment and management. Through a diagnostic profile, we will be able to determine the source of your back pain and begin a regimen of treatments for controlling and alleviating that pain. We have enjoyed a high success rate for bringing our patients back to a full and healthy lifestyle free from back pain. 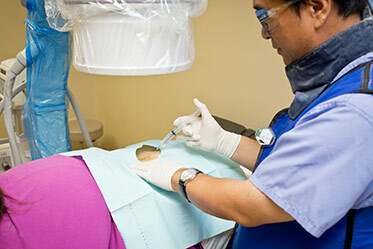 Spinal injections are a nonsurgical treatment option for low back pain. They are typically considered after a course of medications and/or physical therapy is completed, without the desired results. Injections can be more effective than an oral medication because they deliver medication directly to the source of the pain. A steroid medication is injected directly into the painful area to deliver a powerful anti-inflammatory solution. Depending on the type of injection, some forms of low back pain relief may be long lasting and some may be only temporary. Read more on Spinal Injections by clicking here.